Steel is one of the most important part of almost every industry. Construction of high rise buildings, bridges, metro, roads and factories cannot be imagined without steel. It is used in many forms in the different industries and is a major reinforcement material along with Iron. Steel was invented around 100 years ago. The importance of steel has risen by leaps and bounds due to various reasons and attributes of steel. Steel does not get rusted easily and is light-weight as compared to Iron. It is durable, ductile, malleable, corrosion resistant and fire-resistant among scores of other benefits. All these features of Steel have made it the king of raw materials used in almost every industry. Steel prices are not fixed and vary according to the rule of demand and supply. Over the years, the steel prices of reduced considerably and if you have bulk requirement of steel for any purpose, it is the best time to buy. Once the constructions are on in full swing and the recession subsides, the price of steel is likely to skyrocket. The price of steel is also dependent on the grade of steel. Steel can be of different grades depending on its purity and amount of components added to Iron, which is the principle element present in steel. The price of steel also depends on the treatment of steel. For instance, normal steel and galvanized steel have a price difference and so has the Boron added steel equipment. The chromated galvalume steel has a higher price than galvanized steel as it has various advantages in comparison to galvanized steel. Galvalume steel which has the additional property of being anti-fingerprint is priced higher than any other form of steel. Similarly, cold rolled, hot rolled and pre-painted steel also have different prices. Steel prices also vary country to country. There are many countries which produce a lot of iron ore and such countries are able to make their own steel and therefore in the local market, the price of steel is less. However, when the same steel is exported to other countries, the price increases manifold. The freight charges, custom duty and other taxes are added on to it. The commonly used Steel products that are used for various purposes like construction of bridges, buildings and automobiles, etc. are steel sheets, plates, coils and wires. As they have high tensile strength they are also used for making cables of lifts that are used to carry heavy load. For example, the wires of lift in colliery are made of steel. These wires are used to pull coal and the miners out of the mines. As this requires strength, steel is invariably used for this purpose. All the skyscrapers and high-rise buildings that we see around us cannot stand without the strong support of steel. The steel industry is an evergreen industry as use of steel cannot stop. The steel prices vary from country to country and quality to quality. 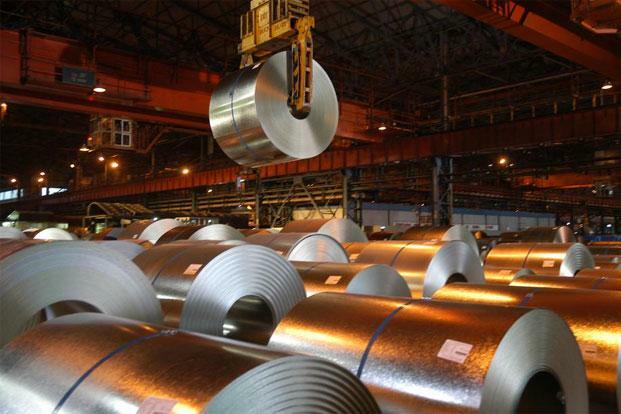 This entry was posted in China Steel Prices, Latest Steel Prices, Steel News and tagged Steel Industry, Steel Prices on September 22, 2014 by Richard. This entry was posted in China Steel Prices, Latest Steel Prices and tagged Latest Steel Prices on July 2, 2014 by Richard. This entry was posted in China Steel Prices and tagged angle iron, angle iron prices, China Steel Suppliers on May 2, 2014 by Richard. 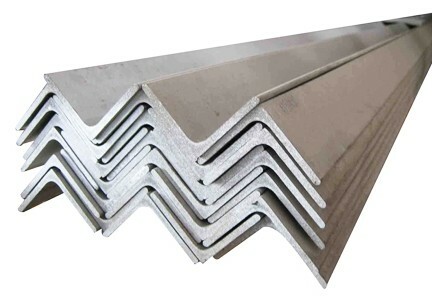 As we all know, China steel has advantage on price and with excellent quality. 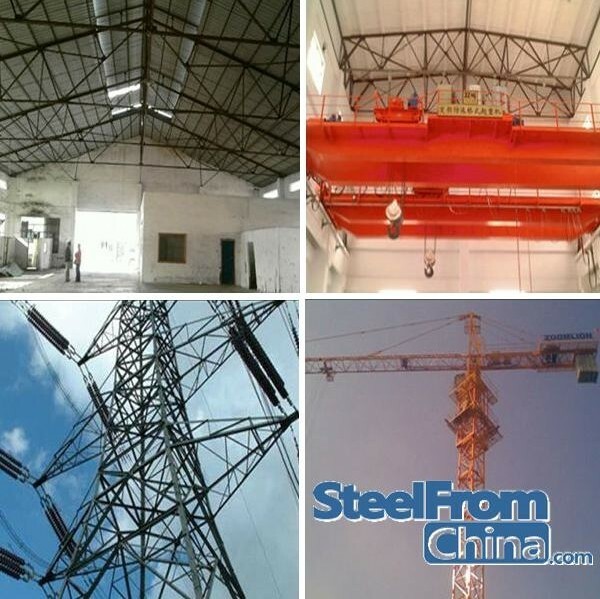 Steelfromchina.com is the most representative China steel which gathering first class Chinese factories especially for structural steel. Among them, angle iron is one of the most popular and useful structural steel. An angle iron is a flat metal rod that has been folded to a 90-degree angle along its length, resulting in an L-shaped piece. Usually the two sides of the angle are of equal length. Heavier angle iron is often a structural element in buildings, bridges, and so on, while a lighter version is used for a variety of supports. An adjustable bed frame, for example, is made of this material. Iron and steel are the most common materials used to make this mate, especially when it will be used in a structural framework. In these cases, the rod is often called angle steel or steel angle iron. Aluminum is used when weight or rust are important considerations. Brass angle iron is sometimes used in projects, especially when the rod will be visible in the finished work and aesthetic appeal is important. Sometimes angle iron is sold with a powder finish that resembles paint. Slotted or pierced angle iron has holes at standard intervals along both sides. Usually the holes are one inch (2.54 cm) apart as measured from the center of each hole. The holes are oval rather than round to allow for different stress in the finished product. Slotted angle iron is often used for uprights in commercial shelving, since sections are easy to assemble with nuts and bolts. Precut lengths with formed metal shelves are often packed and sold as garage shelving. Angle brackets are sometimes called angle irons. These are also L-shaped pieces of metal, but the fold runs across the width of the flat metal rod instead of along its length. Angle brackets are often bolted to the wall and used to support shelves. For amazing angle iron price, please browse our steel price age. This entry was posted in China Steel Prices, Galvanized Angle Iron and tagged angle iron, angle iron price, China steel on April 4, 2014 by Richard.